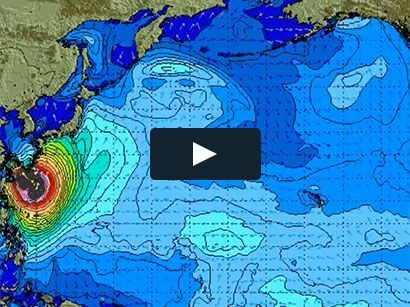 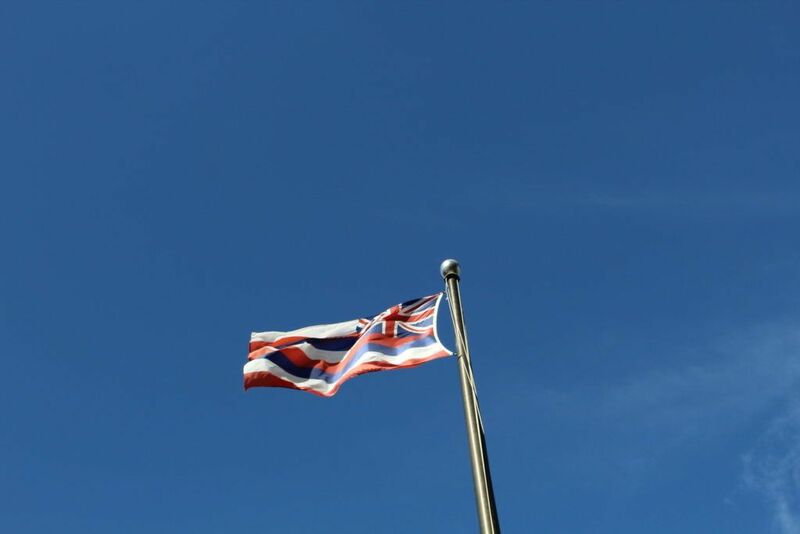 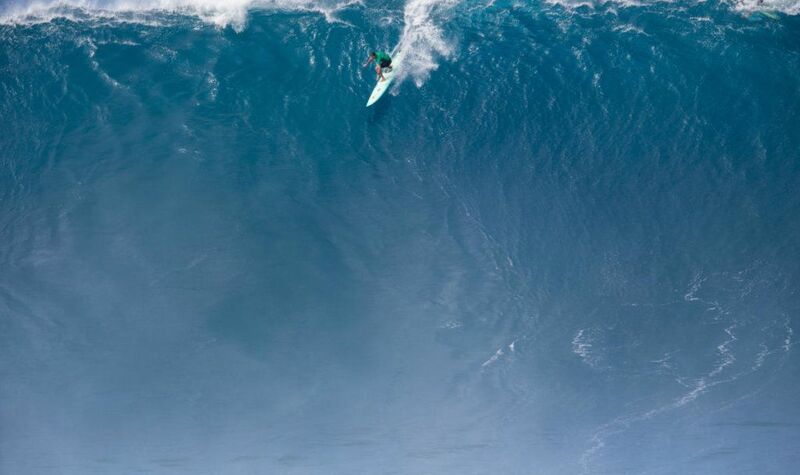 The Hawaiian Flag proudly waves for 2 of the World’s Best Big Wave Champions. 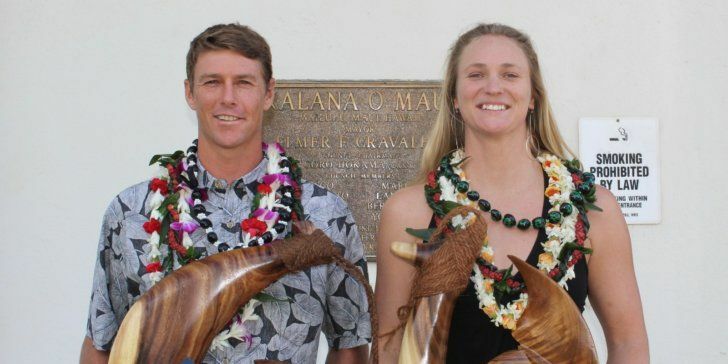 The Maui County state building reflected sunshine in the morning hours as big wave notables Ian Walsh and Paige Alms embraced against its cement exterior. 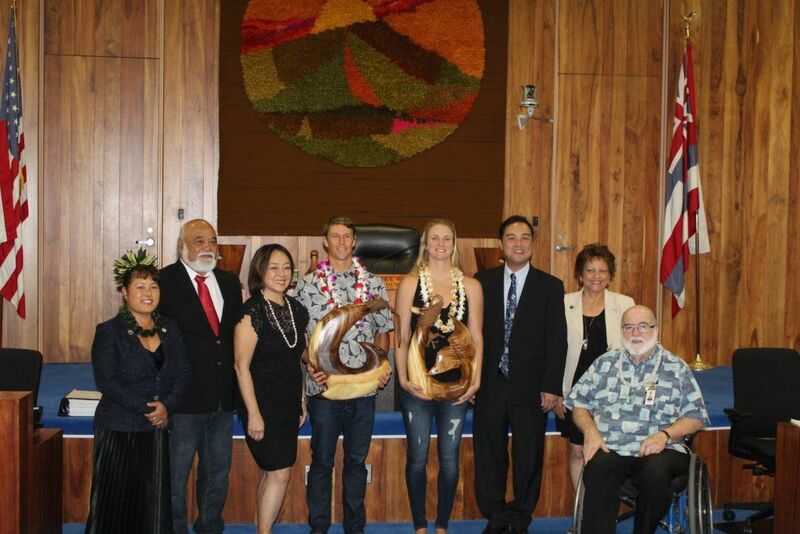 An official resolution had just taken place on the 8th floor to honor the two for their wins at the 2017 Pe’ahi Challenge, WSL’s most recent Big Wave Tour event which took place in October 2017 on their home island. 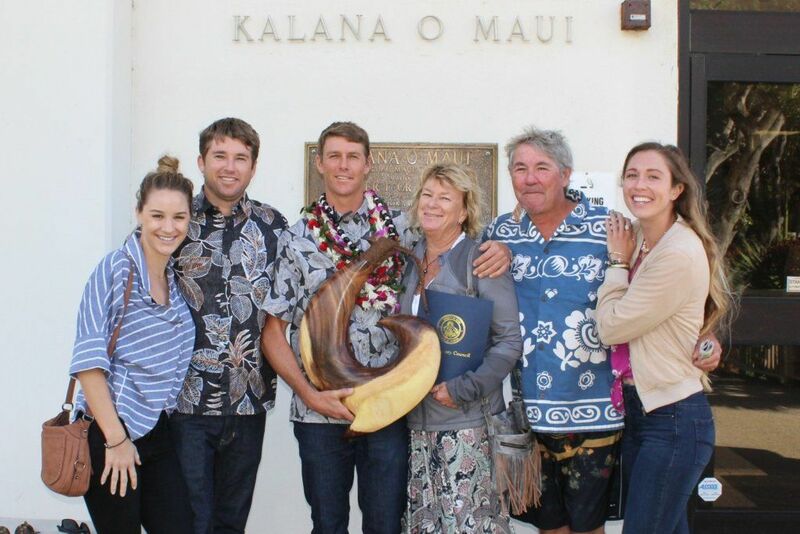 Their closest family and friends joined in hugs and photos outside, beneath the United States and Hawaiian flags, while congratulating Ian and Paige with ear-to-ear smiles. 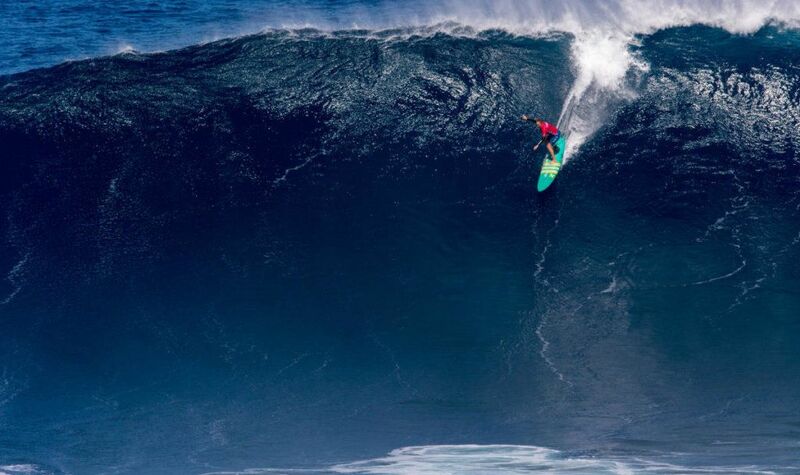 Handsome Bugga Productions, the team that aids in the smooth operation of the Maui big wave event alongside the WSL, snapped selfies with the athletes and stood by to represent the solidarity of the community.